As students we are always looking for something fun to do. A trip to Salt Lake City is the perfect way to have fun, and there are numerous things one can experience for the first time. With our free UTA Ed Pass, we have the opportunity to save money on gas to travel to Salt Lake. To get to Salt Lake, take the FrontRunner from the Ogden station on 2350 S. Wall Ave. to the Salt Lake Central station before taking Trax to your desired destination. When I was a kid, my mom would take my cousin and me to the Tracy Aviary once a week to see the birds. Each bird was different and made different sounds. I fell in love with the Tracy Aviary when I was a child, and to this day I still enjoy visiting the aviary. Students can take Trax from the Salt Lake Central station to stop 170, the Ballpark station at 1300 S. 180 W. Tracy Aviary is at 589 E. 1300 S. in Liberty Park. The cost for adults for both the park and aviary is $7, for children it is $5 and seniors can get in for $6. Visitors can feed pelicans and sun conures. The Tracy Aviary is open from 9 a.m to 5 p.m.
Stroll through the park and check out the numerous animals. My personal favorites are the polar bears and the penguins. The lions will be returning to the zoo soon; they will be featured in the upcoming African Savanna exhibit. Another great attraction is the World of Flight Bird Show. In this show you get the chance to see a wide range of birds, from pelicans to bald eagles. The gates are open from 9 a.m to 4 p.m. Admission for adults is $14.95, $10.95 for children and $12.95 for seniors. 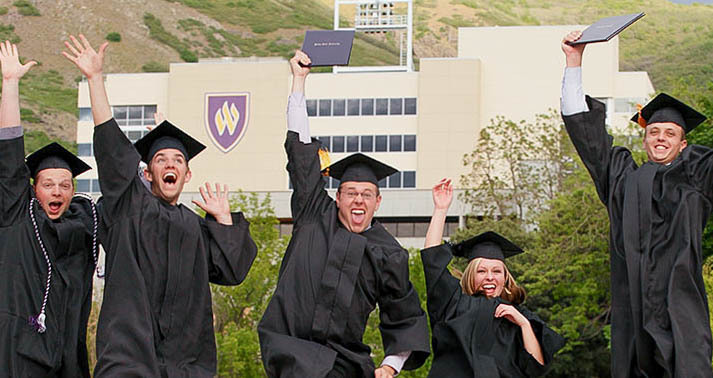 Students can take Trax from the Salt Lake Central station to Komas Drive and Wakara Way/Hogle Zoo. The zoo is at 2600 E. Sunnyside Ave. The aquarium is fun for all ages. Visitors get the chance to check out a wide variety of ocean creatures, and can look at everything from sharks to sting rays and jellyfish. The aquarium is open from 10 a.m. to 6 p.m. Admission for adults is $15.95, for children it is $10.95 and seniors can get in for $12.95. Students can get the same discount rate as seniors by showing their school ID. Students can take the FrontRunner from the Ogden station to 12997 S. Frontrunner Blvd. to get to the aquarium. The aquarium is located at 12033 S. Lone Peak Parkway in Draper. City Creek is in downtown Salt Lake next to Temple Square. It offers a variety of stores for both men and women. Once visitors get hungry they have the option of eating in the food court or in one of the restaurants around the perimeter of the mall. This is a great option to get students out of Ogden by visiting one of the best locations in Salt Lake. Students can spend the day meandering through stores, shopping and getting a bite to eat. As far as restaurants go, one of my personal favorites at City Creek is The Cheesecake Factory. It’s at the east end of the mall. If you are looking for a light meal, check out the Blue Lemon. It’s at the north entrance, directly across the street from Temple Square. Students can get to City Creek from the Salt Lake Central station on Trax by getting off at the City Center station at 100 S. Main St. City Creek is open Monday through Saturday from 10 a.m. to 9 p.m. and closed is Sunday. I have always been a bookworm, which means libraries are my favorite places. The Salt Lake City Library has five floors. When you first walk in, there are several places to buy coffee, as well as small shops that sell things like notebooks, pens and knickknacks. In the middle of the library you will see an art piece that resembles a face hanging from the ceiling. Hanging by strings from the ceiling are hundreds of little books. In the sunlight the books open up and in the shade they close. Students can get to the library by taking Trax from the Salt Lake Central station to the stop in front of the library at 225 E. 400 S. The library is at 210 E. 400 S. It is open Monday through Thursday from 9 a.m. to 9 p.m., Friday through Saturday 9 a.m. to 6 p.m. and Sunday 1 to 5 p.m.